Hi friends! I hope that you had a great long weekend. We spent it being sick so that wasn't terribly fun. But at least we had some time to recoup because having to go to school/work. Hopefully, tomorrow will be better. 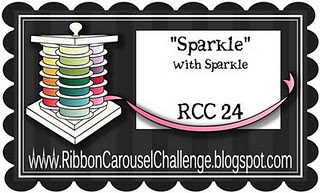 This week, I'm on with the Ribbon Carousel Challenge. This week's challenge is using Sparkle and Bling. Remember, when you play along with the Ribbon Carousel Challenge, you MUST use ribbon, lace, trim, twine, or something that comes on a spool. Link up your creation by Oct 17, 2011 at 11:59pm. 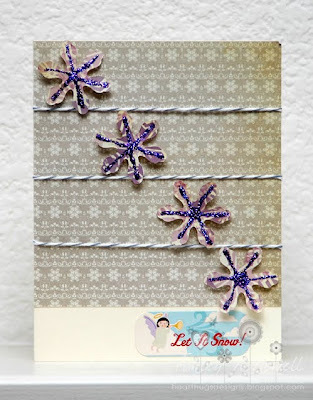 This week, our sponsor is the awesome Sparkle Creations Rubber Stamps! These stamps are super high quality and super cute! The prize is Broomstick Lucy. Here's my card for this challenge. For my spool element, I used Oyster Divine Twine. The paper and sticker are from Comso Cricket and the sparkle element is Stickles. Check out the Ribbon Carousel Challenge Blog to check out the other design team members' creations and to link up your creations. Love your sparkle design, Ashley!! The glitter are gorgeous on the flowers! I just realized that I didn't follow your blog all this time till TODAY (oh well, better late than never)! OH! I love how you added sparkle to those snowflakes! 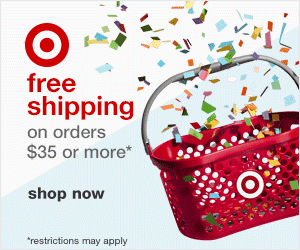 LOVE how you used some non-traditional colors for this holiday card! Great job--and I LOVE that Virginia hasn't been following--she is so sweet:) LOVE her--LOVE YOU!